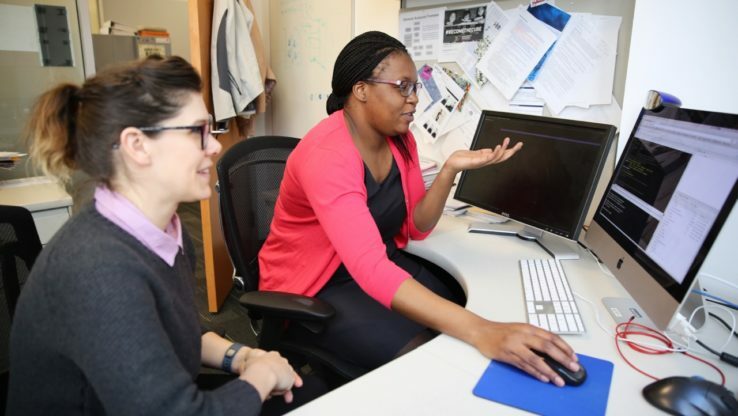 In a study published in PLoS Computational Biology, researchers at Institute for Systems Biology (ISB) have developed a multiscale mutation clustering algorithm (M2C) that identifies variable length regions with high mutation density in cancer genes. The M2C algorithm was developed by William Poole (first author on the paper), who started as a summer intern in 2013 as part of ISB’s Center for Systems Biology internship program. Working under the guidance of Dr. Brady Bernard and Dr. Theo Knijnenburg, both senior research scientists in the lab of Ilya Shmulevich at ISB, Poole’s initial summer internship led to a multi-year project that resulted not only in this PLoS Computational Biology publication, but also a Bioinformatics publication about combining dependent P-values. His work was presented at two international scientific conferences: the TCGA Scientific Symposium 2015 and The 15th European Conference on Computational Biology (ECCB 2016). Currently, Poole is pursuing a PhD at the California Institute of Technology (Caltech) in Pasadena, California.